It is with great anticipation that the new Athletics & Fitness Complex is officially welcoming students, staff and community members. Following a massive two year build, doors are now open to the 40,000 sq. ft. facility. 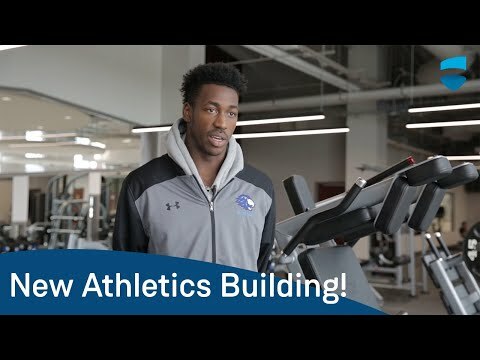 The Athletics & Fitness Complex is home to the newly rebranded Varsity Lions, featuring a 1,240 seat gymnasium and spacious fitness facility. The fitness area is equipped with top-of-the line equipment including the market-leading delivery platform for virtual fitness, Fitness on Demand. Live instruction, personal training, wellness programs, certification courses and specialty courses/clubs will also be offered as the department and facility continue to evolve. The new facility will enable a wide range of student life activities, including a focus on mental health and well-being. There truly is something available for everyone. For a complete list of programming opportunities and hours of operation, visit lclions.ca.